Okay, everyone keep calm. This is NOT Christmas gift wrap related! 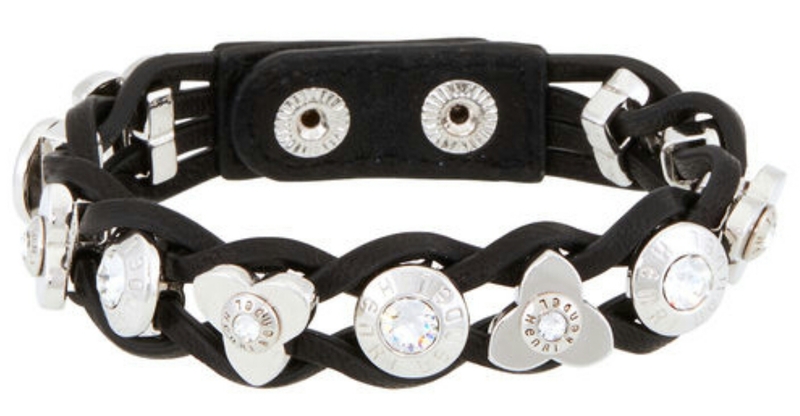 Leather accent jewelry trends have been huge for the past few years, and it doesn’t show signs of stopping. (And I’ve brought some corn for popping………okay, I’ll stop! I just can’t wait for Christmas okay.) 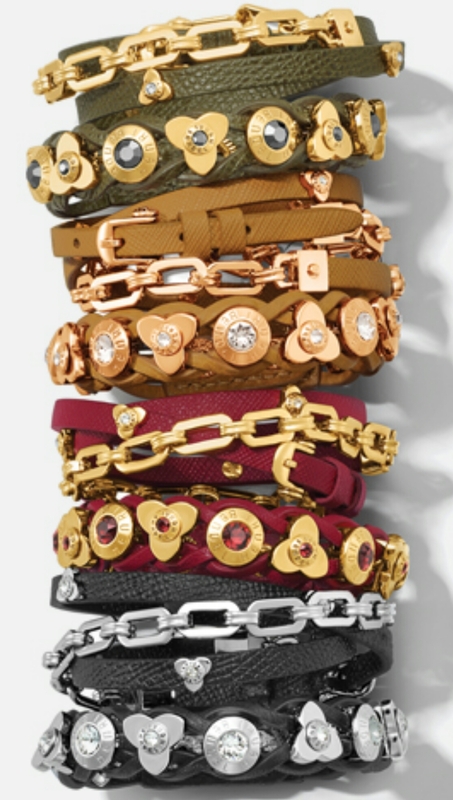 Last year’s Slogan bracelets from Chanel got my vote for favorite wearable leather accessory. 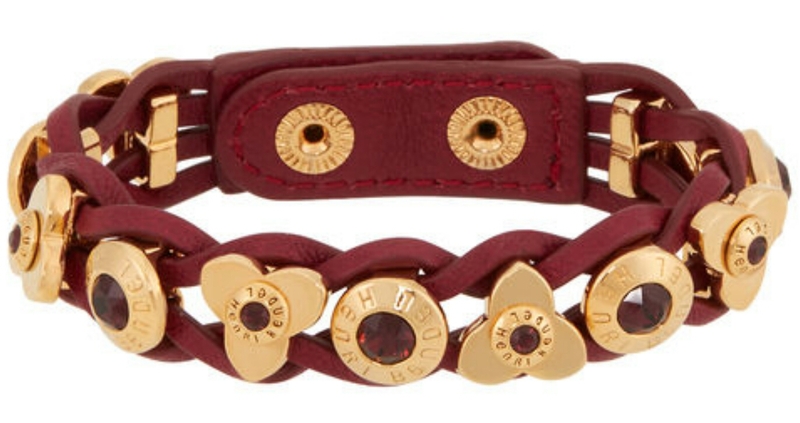 This year, my pick has to be the new leather wrap bracelets from Henri Bendel! These can be styled casually with your jeans and tees, sophisticated worn as singles with a simple black maxi dress, or they can be a statement piece when you pair a few or all of them together. This collection in particular is ideal, since all of the pieces have been designed to be worn together. All of the colors are basically Fall neutrals too. As for the metals, gold and rose gold-plated brass, and rhodium plated steel have been used to complement certain shades. Gold continues its upswing in popularity! I love how they chose to style the rich gold tone metal with the deep greens and burgundy hues (one of this season’s “IT” colors). 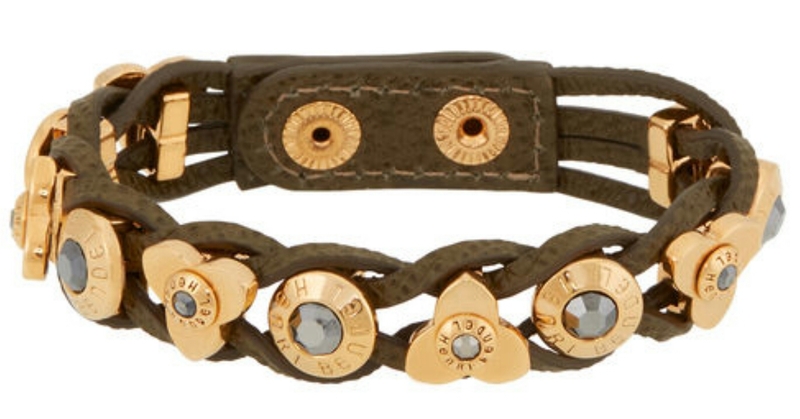 This bracelet does wrap multiple times around the wrist and features an adjustable buckle closure. I love the tiny petal and rhinestone accents. Black and silver can arguably be worn with anything. 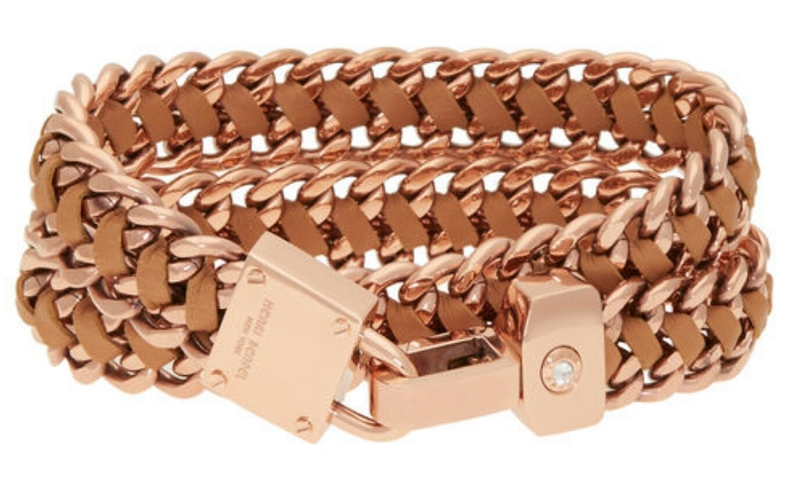 Rose gold anything is still the most sought after trend in metal jewelry, and it goes beautifully with the camel colored leather. 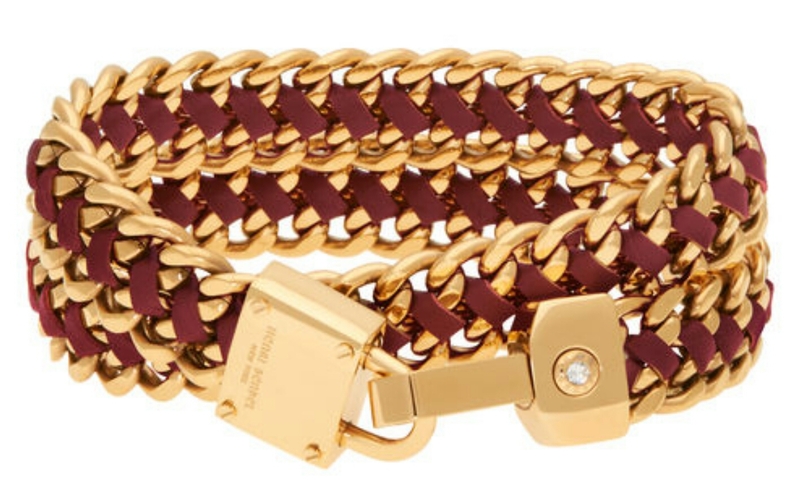 These padlock bracelets are my favorite! When I wear statement jewelry, I tend to only wear the one piece and not much else. Either a chunky necklace or bracelets. These are rather bold on their own, but I think I would stack a few of the gold toned hues together with my beige Cynthia Rowley cashmere sweater. These will add so much character to any otherwise plain neutral clothes you have in your wardrobe. 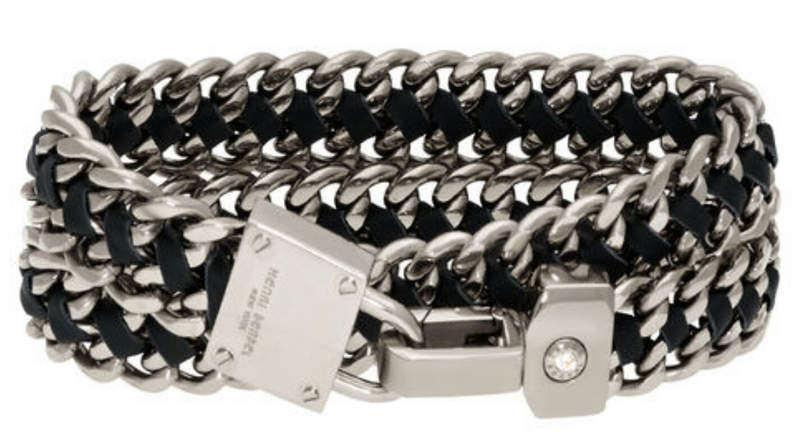 If ever there was a bracelet to compliment the Stella McCartney Falabella bag in black with the silver chains, this would be it. If you are into the rocker chic look, this would be perfect! 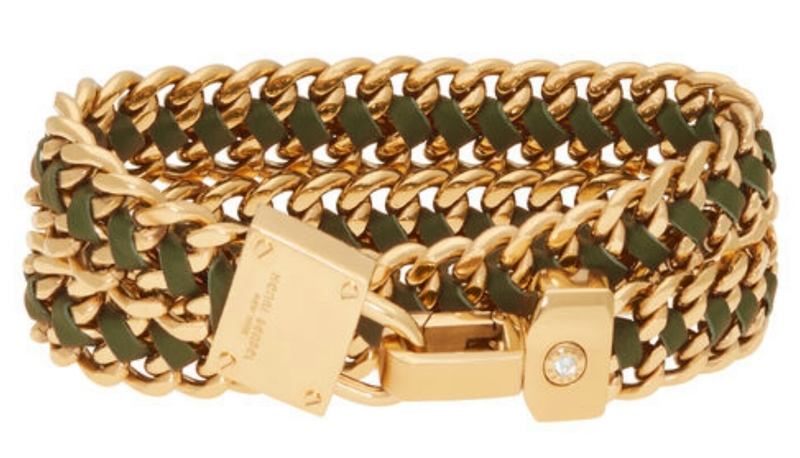 I am loving the clasp on this bracelet too, with just that one single rhinestone. These dark green and red options they did a little differently, by using coordinating dark green and red rhinestones with the leather. At first glance, the petal accents on these remind me a little of the shapes on the Louis Vuitton logos. These bracelets are by far the easiest to put on with a button snap closure. I did wonder why they didn’t do these with the matching shades of rhinestones. Oh well, they look fabulous either way! I hope they keep these around for next year in new Spring colors! Which style is your favorite?